OMG... this book is one I will need to own. 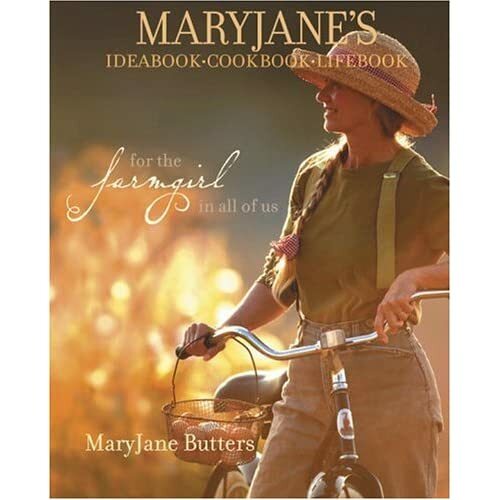 It is stuffed FULL of great ideas for the Farmgirl In All of Us as MaryJane says on the front cover. Everything from how to hem stitch to how to cook a one pot meal on a campfire, this book has it all. It even has jump rope songs from her childhood that will bring back memories from the youngest and oldest of us. Beautiful pictures are littered through this volume of her life. Truly an inspirational book! And one to own as well... because you will want to go back and use the ideas and recipes again and again.